The Beatles still make £67000-a-day from a company that shut 50 years ago (and that doesn't even ... . Beatles Radio: The Beatles, Solos, Covers, Birthdays, News The Fab 4 and More! The Beatles still rake in £67,000 a day from a company they formed before they split, nearly 50 years ago. Apple Corps, set up in 1968 to manage their affairs, declared a turnover of £24.4 million for the year ending January 31. It is owned by surviving Beatles Sir Paul McCartney and Ringo Starr, as well as George Harrison and John Lennon’s widows Olivia and Yoko Ono. Accounts show each was paid £2.97 million in “aggregate fees for promotional services, name and likeness”. Profit before tax rose to £5.7 million – £3.9million up on 2016. 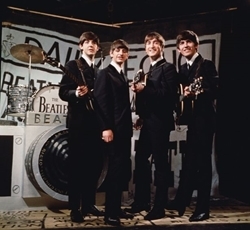 The company – which doesn’t even own the Beatles back catalogue of songs – made £10million from 2016 documentary The Beatles: Eight Days a Week – The Touring Years. It has previously cashed in on The Beatles: Rock Band video game. Apple Corps – which had a long dispute over its name with Apple computers – reports having £16.9million in cash. But Sir Paul McCartney, 75, is thought to be worth £780 million alone. The band split in 1970.